By: Justin Zablocki (author, Zablocki Bros. LLC) on September 26th, 2013 12:00 AM. The Da Vinci Code is a novel from 2003 written by Dan Brown that was adapted into a movie in 2006 starring Tom Hanks and directed by Ron Howard. The story is about Professor Robert Langdon and his search for the Holy Grail. As it goes in the novel and movie, Leonardo Da Vinci was a part of a secret society that was responsible for keeping the Holy Grail safe, but he left many clues to its location in his art. The novel and movie are full of riddles that the professor must solve in order to find the Holy Grail and unlock the secrets of Da Vinci. What does this mean though? Each of these clues are useful in the finding of the Holy Grail and they are all anagrams. The first of the clues is the rearranged Fibonacci Sequence (first 8 terms). This is one of the most well-known sequences. The actual order of these numbers is 1-1-2-3-5-8-13-21. This sequence can be found by taking the previous two numbers of the sequence and adding together (1, 1+0=1, 1+1=2, 1+2=3, etc.) These numbers are significant because later Langdon encounters Jacques' deposit box at the Zurich bank and this sequence is the code for the box. The second clue, when rearranged, spells out 'Leonardo da Vinci', meaning the famous painter who was also a member of the secret society. The final clue, when rearranged, spells out 'The Mona Lisa'. This clue relates to Jesus and the Holy Grail because Professor Langdon discovers that this painting was made by Leonardo Da Vinci to protest the Church's suppression of Mary Magdalene's real identity. These are the primary clues that lead the characters of the story to discover what the true Holy Grail is. 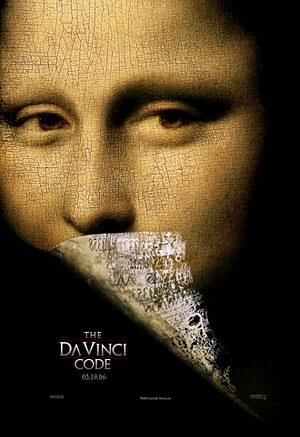 For more information about The Da Vinci Code visit the Wikipedia page. For some more good riddles visit the Best Riddles page.